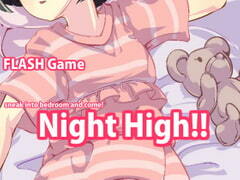 A simple "touching" game with the theme of sleep r*pe. Perform mischief on a girl in a deep slumber cradled on an overnight bus. At midnight, you find a sleeping girl frozen. You cannot leave her alone. Let's touch the young girl to warm! At midnight, you are guided by an incubus. Have a light, and sneak into the bedroom! Let's play with a young girl!